Few know that the NHS fencing team, generally unrecognised and unfunded, is also the only fencing team in Western Massachusetts. Despite facing obstacles such as equipment expenses, transportation costs, and little recognition from administration, NHS has managed to produce a highly competitive team for the past 35 years. Ferullo, however, said the team primarily thrives on a peer-teaching dynamic. “One of the best parts of this team is that the more experienced people are able to help run practice, teach others what they need to do with their weapon, and teach others what the culture of the team is,” Ferullo said. 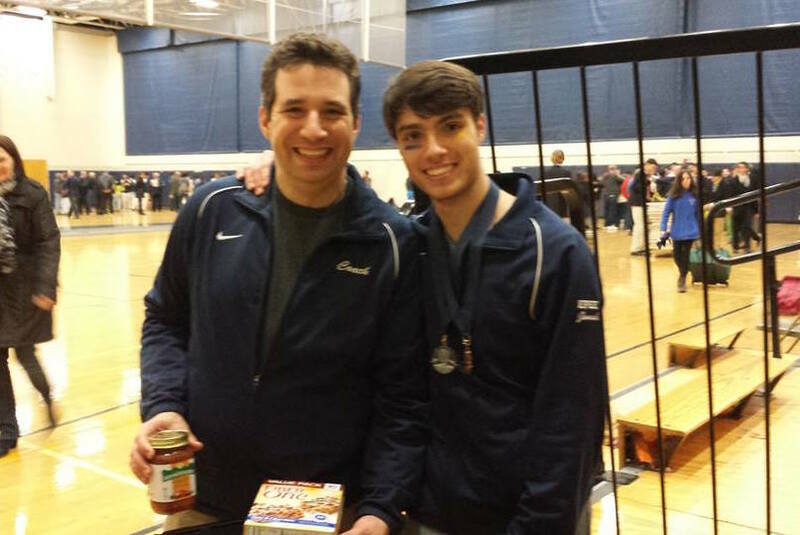 Schwaller agreed, “the peer teaching…is just kids teaching other kids, which I like a lot.” There are only “a few returning fencers, and a lot of new, first-year fencers,” said Ferullo, but the team as a whole, and newcomers especially, relies on guidance from those more experienced. Both the mens and womens teams travel to either Boston or Concord nearly every weekend for competition. They are required to carpool, as they aren’t granted any funding for bussing from the administration. If fencing were considered a varsity sport, getting money for transportation would be a much easier task, but, as Herzog-Arbeitman noted, “the new Athletic Director doesn’t recognize us [as a varsity sport]…right now, we don’t really know where we stand.” However, fencers take advantage of the long car rides as “team-bonding time…or sometimes nap-time,” said junior fencer Ariana Burch. The same problem presents itself with regard to equipment. “Funding for equipment comes from yearly dues…out of each of our pockets,” Herzog-Arbeitman said. Each fencer individually pays $200 upfront, and this encompasses all equipment and competition fees for the season. However, Ferullo has been known to help out with costs; if anyone is unable to pay, he offers financial support. Ferullo said that most of the season so far has been “a learning experience for the majority of the team.” While they haven’t won a lot of full team competitions, NHS has been “doing really well on an individual basis,” said Ferullo. Herzog-Arbeitman hopes to place “third in States as a team” and Ferullo is shooting for fourth or fifth. “The competition is strong, so it’ll be a challenge,”said Ferullo. “If all goes well…this could be one of our best years,” said Herzog-Arbeitman.